This big and beautiful built-in grill will ensure you never want to cook indoors again. Who would want to with 730 square inches of main grilling area? You can grill up to 40 burgers at once. The integrated infrared bottom burner heats to 1,800F in seconds, meaning you can sear that steak almost instantly, then finish it off with a slow grill, just like restaurants do. Napoleons JETFIRE ignition system makes sure that your grill lights every time by shooting a jet of flame to light the burners. The stylish iGlow control knobs illuminate the console making it easy to grill well into the night. The perfect outdoor grilling experience awaits. Creating your own custom grill island has never been easier with Napoleon's Built-In Components. Every great outdoor kitchen needs storage; this 18" by 24" triple drawer cabinet features three 8" drawers for outdoor kitchen storage. Stainless steel construction, soft closing hardware, seamless trim, and anodized aluminum handles provide durability and endless installation possibilities. Creating your own custom grill island has never been easier with Napoleon's Built-In Components. Every great outdoor kitchen needs storage; this 30" x 24" set of double doors provide storage and endless installation opportunities creating large and accessible storage space. They feature stainless steel construction, soft closing hardware, seamless trim, and anodized aluminum handles. 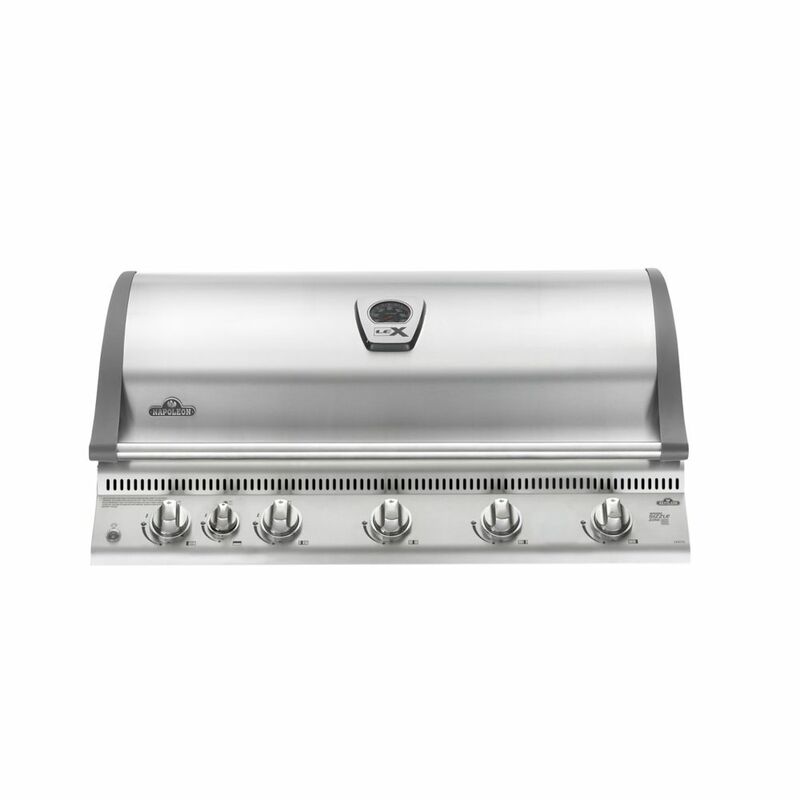 Save room on your grill, and add convenience to your perfect outdoor kitchen with the Built-In Flat Top Dual Side Burner from Napoleon. This burner is ideal for sauces and sides, saving space on your main grill head. Increase productivity and space, creating the perfect outdoor kitchen for the backyard chef in you. LEX730 Built-In Gas BBQ with Infrared Bottom & Rear-Burners This big and beautiful built-in grill will ensure you never want to cook indoors again. Who would want to with 730 square inches of main grilling area? You can grill up to 40 burgers at once. The integrated infrared bottom burner heats to 1,800F in seconds, meaning you can sear that steak almost instantly, then finish it off with a slow grill, just like restaurants do. Napoleons JETFIRE ignition system makes sure that your grill lights every time by shooting a jet of flame to light the burners. The stylish iGlow control knobs illuminate the console making it easy to grill well into the night. The perfect outdoor grilling experience awaits. LEX730 Built-In Gas BBQ with Infrared Bottom & Rear-Burners is rated 4.7 out of 5 by 3. Rated 4 out of 5 by Kimber from Directions were not clear as to exactly how things needed... Directions were not clear as to exactly how things needed to be.